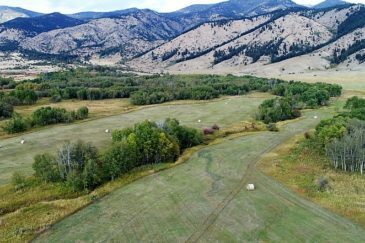 The Rock Creek Ranch is a recreational haven for those who love to hunt big elk and deer as well as fish and explore the famed Paradise Valley in southwest Montana. The ranch consists of 640± acres and is almost completely surrounded by the Gallatin National Forest which leads directly into Yellowstone National Park. It is a very private and beautiful piece of land with everything elk want: open parks, dense timber, available forage and water. Conveniently located just an hour south from Livingston and 45± minutes from Gardiner and the North Entrance to Yellowstone National Park. The topography is varied with beautiful meadows and dense forests as well as a variety of natural springs and of course its name sake creek Rock Creek which traverses the southeastern section of the ranch for approximately .1 mile.